Invisalign Is Invisalign Right for You? Call Today for a Free Consultation! There’s nothing like being recognized for your beautiful smile. But there’s also nothing like being recognized for a mouth full of metal! Whether you are an adult whose professional or social life won’t allow for traditional braces after 50 or you’ve got a teen who wants to avoid the classic “brace face” look, Yellowstone Family Dental has a solution. You know, a lot of people just, maybe, want some changes to some teeth that are crowded, or you know, they don't like the alignment of their teeth. And with the Invisalign service, we can provide a service to straighten their teeth and provide them with a nicer smile, and help build their confidence in their smile. And the way that Invisalign works, it's a series of retainers—retainers that we use to straighten somebody's teeth. So you come in, initially, and we get some models of your teeth, and then we design how we can straighten those teeth and make them look nicer. 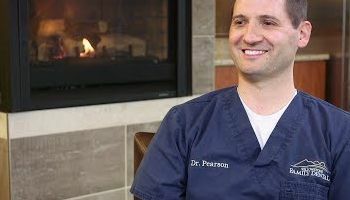 And then we go over the treatment plan with you, and then you wear a series of retainers that help straighten your teeth over a period of usually 12 to 24 months. Clean your teeth more easily without having to navigate around wires and brackets. Specifically, you’ll be able to floss more thoroughly and correctly with removable aligners. Reduce your risk of gum disease and tooth decay by correcting overlapping teeth where bacteria likes to hide. 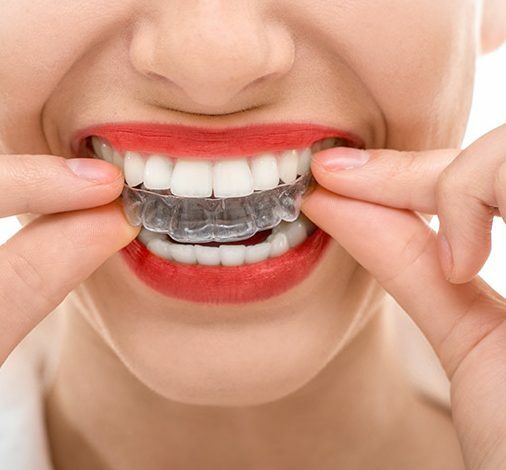 Call Yellowstone Family Dental at 406-245-7026 to learn more about our clear aligners for straighter teeth. We offer personalized care to each patient, so we strive to provide a variety of options that will allow you to find the plan that works best for you. That’s why you can choose between ClearCorrect and Invisalign aligners at our office. Both offer virtually invisible bite correction that will give you the straight smile you deserve without the hassle of braces. Avoid the awkwardness of metal braces, including unsightly brackets and food that gets caught in them. Comfortably straighten your teeth without irritating your lips and gums with sharp edges. Eat whatever you want by removing your aligners during meals. Invisalign has been used by dentists since 1997, so the results from this process have been tested for over 20 years. Additionally, each patient who receives Invisalign treatment from our doctors will be presented with a 3D image of what their smile will look like at the end of the process. Invisalign means no surprises! Call Yellowstone Family Dental today at 406-245-7026 for your free Invisalign consultation at our Billings, MT office. Or contact us online.